If you are a child of the late 80s then the original Tickle Me Elmo craze will probably be something you recall from your own childhood. Embarrassingly, being born in the earlier part of the decade I could have sworn that it was earlier than 1996, because I wanted one. Late bloomer maybe. Anyway, now here we are 20 odd years on, and Sambro have brought Tickle Me Elmo is back with a vengeance. My children are not into Sesame Street (in fact I’m not sure they’ve ever seen it… I’m a horrible parent) but they are very familiar with Elmo from CBeebies’ Furchester Hotel. I was excited for them to try out Tickle Me Elmo and tell me what they thought. 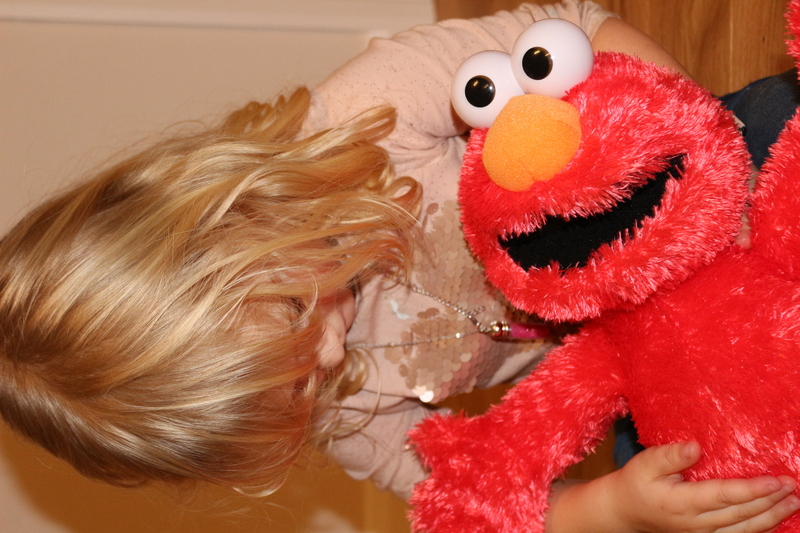 Tickle Me Elmo is quite a big toy at 18 inches tall (from head to feet), and he’s very cute, soft and cuddly. He can sit well when propped up so makes a good tea party attendee. His big orange nose is squashy but his eyes are made of hard plastic, so he probably wouldn’t make a great bedtime pal even if your child hadn’t yet learned to switch him on at night! Mine is way too savvy for that so he’ll definitely be a daytime only toy. 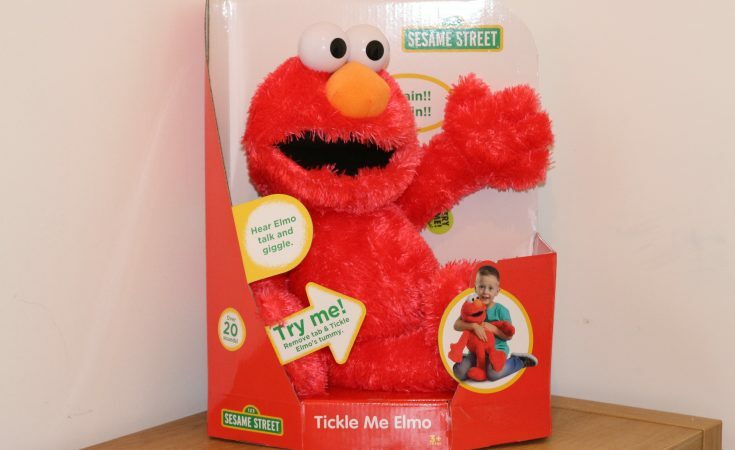 As the name suggests, Elmo talks and laughs when you tickle his belly. He’s very sensitive so you don’t have to do it very hard! He also works when you press the buttons which are in both of his hands and his feet. 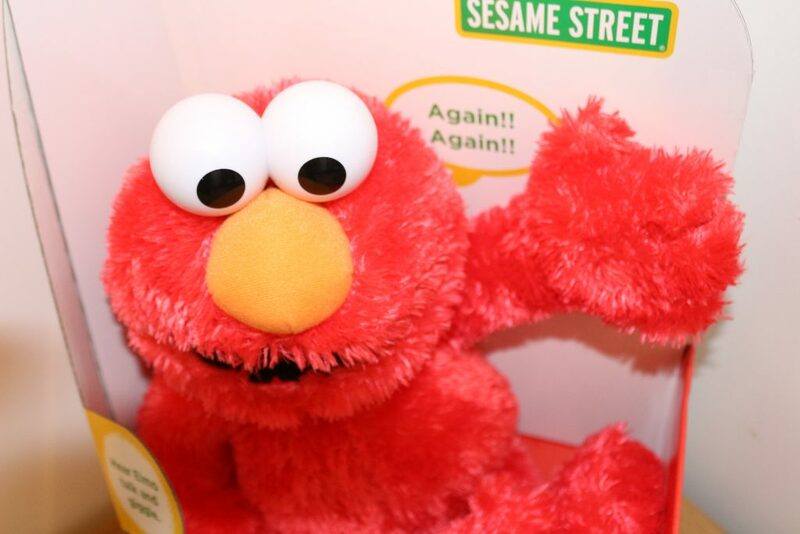 Elmo has 20 different phrases and sounds although lots of them are different giggles, he also says things like ‘again, again!’, ‘more, more!’ and ‘Elmo loves being tickled’. He also vibrates as he laughs and talks. Here is a brief video showing you what he does! 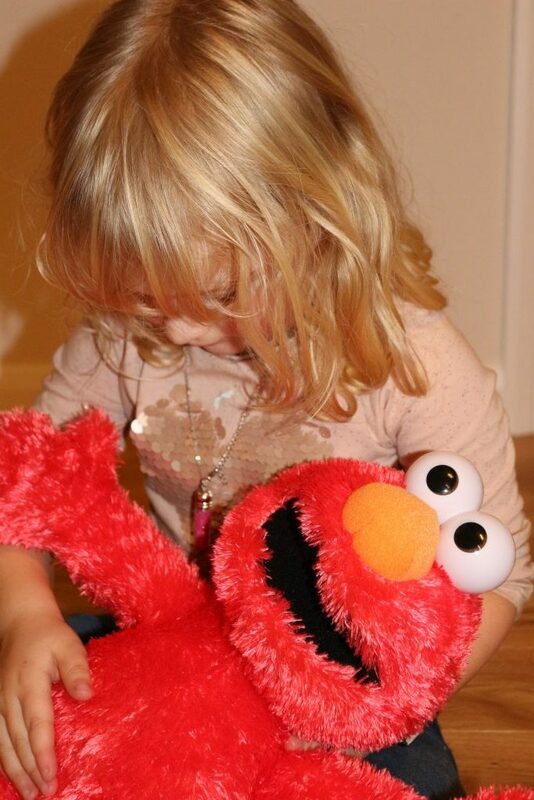 Tickle Me Elmo is a fun and bright toy which I’m sure toddlers will find very entertaining. 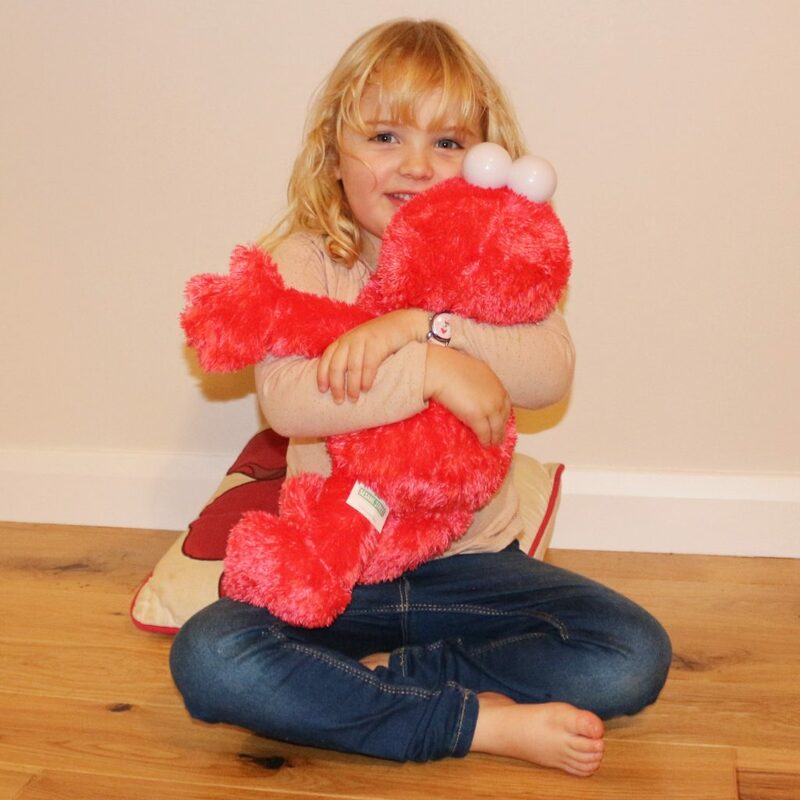 Tickle Me Elmo is suitable for little Elmo fans aged 3+ although I think my two and a half year old will love him, and he might just get him as a Christmas present… I am sure that after his big sister’s delighted reaction, he’s going to be a fan. It’s a big, red, super huggable monster; what’s not to love? 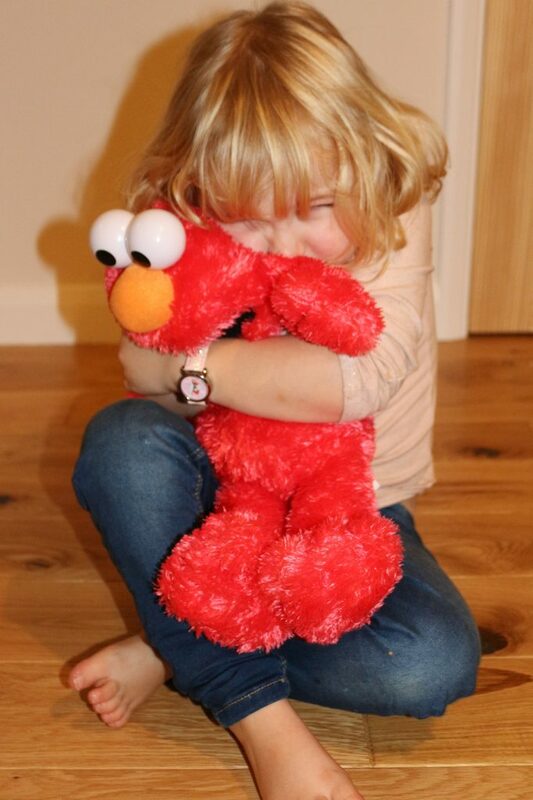 Tickle Me Elmo has an RRP of £29.99 and can be bought from any good toy shops including from Amazon here. You can follow Sambro on Facebook or Twitter for brand updates. 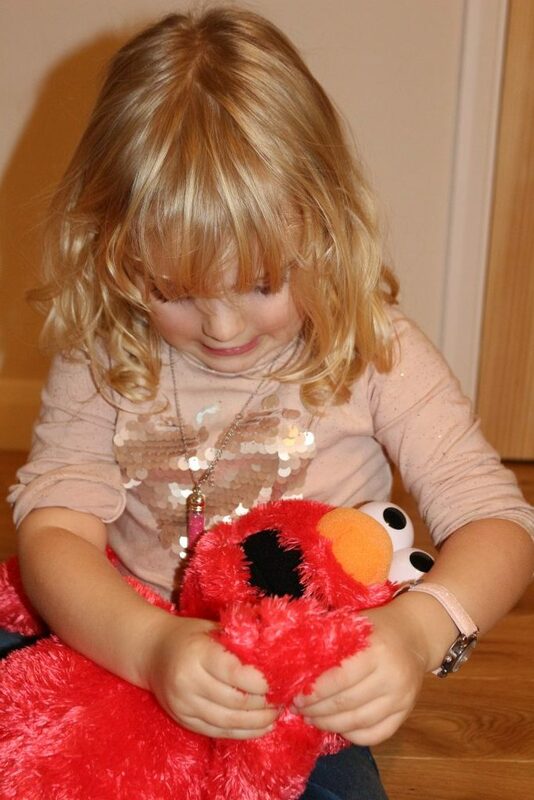 We received Elmo free for the purposes of this review but words and pictures my own. Looking for more toy and game reviews? Go here!